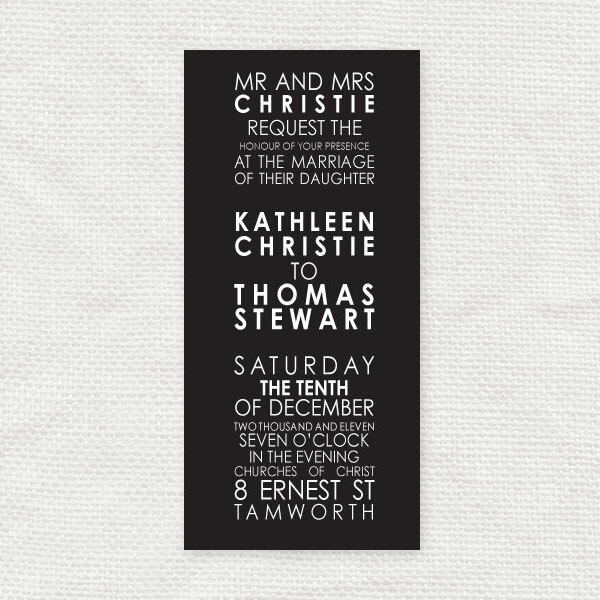 Inspired by old subway and bus scrolls this unquie invitation range is sure to impress. 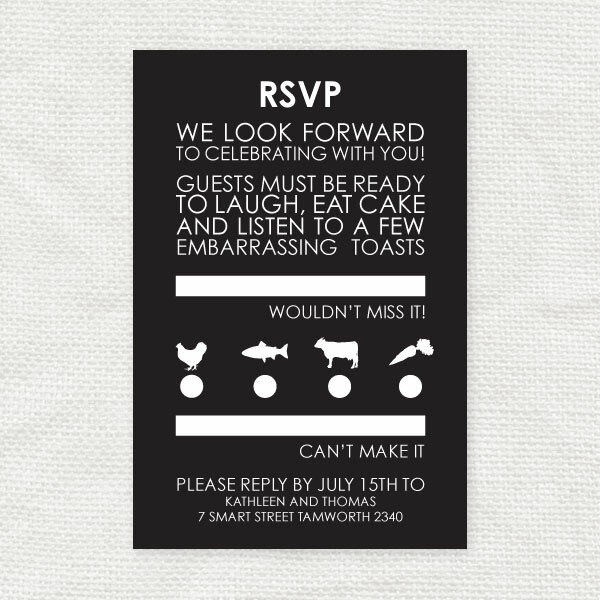 Get on board and announce your big day the fun way! Shown here in classic black and white or mix it up with your own colour combination choice.